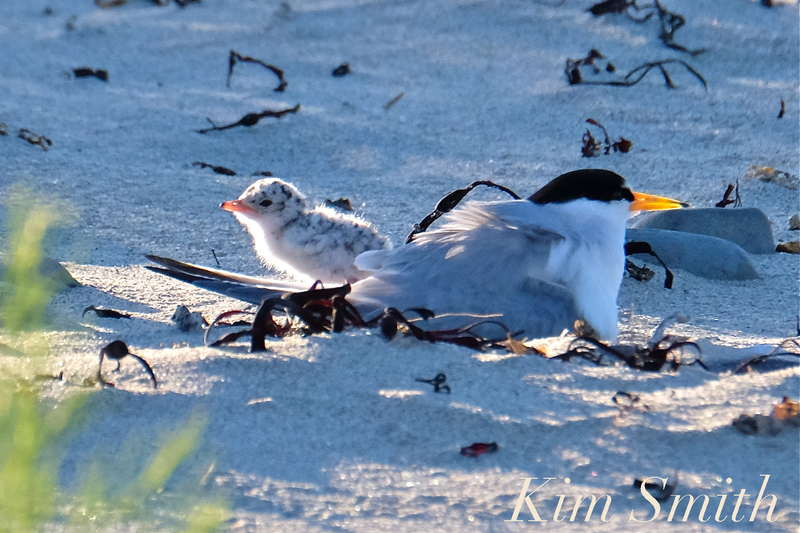 Three days after hatching the Rosetti’s Least Tern parents moved the chicks further down the beach and deep into the roped off sanctuary. 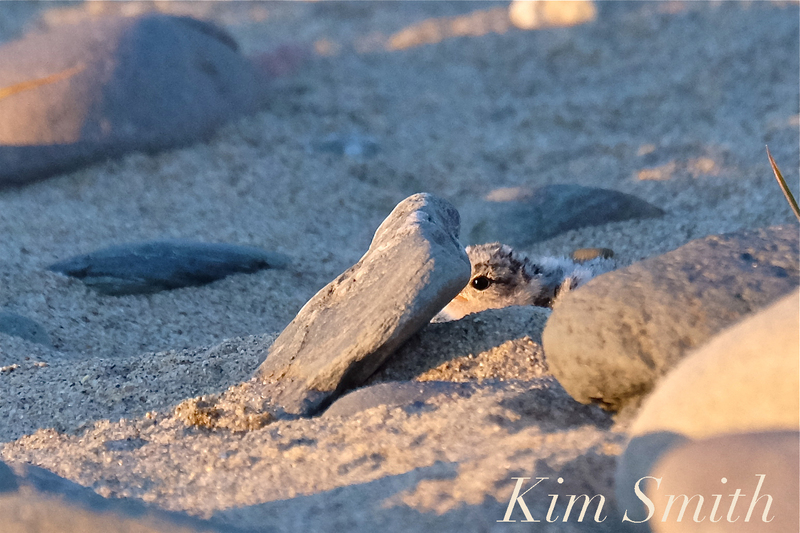 Tiny gray and white speckled fluff balls well-hidden amongst the rocky shoreline became increasingly difficult to see. 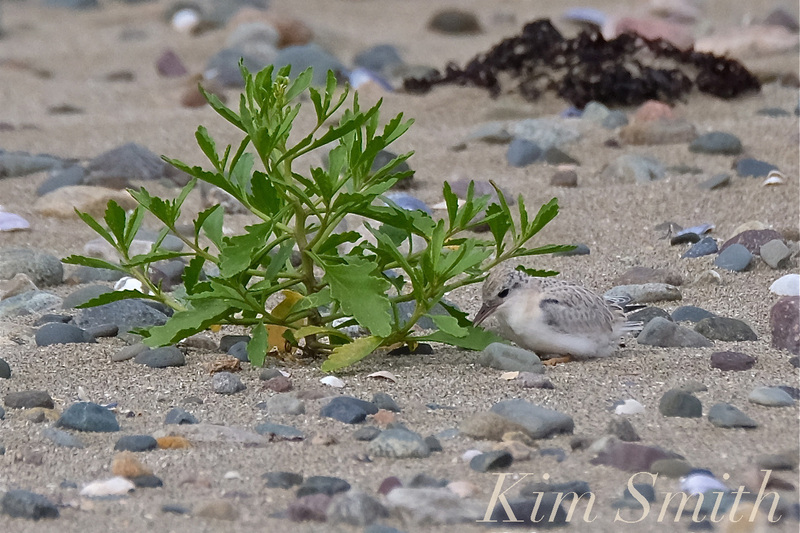 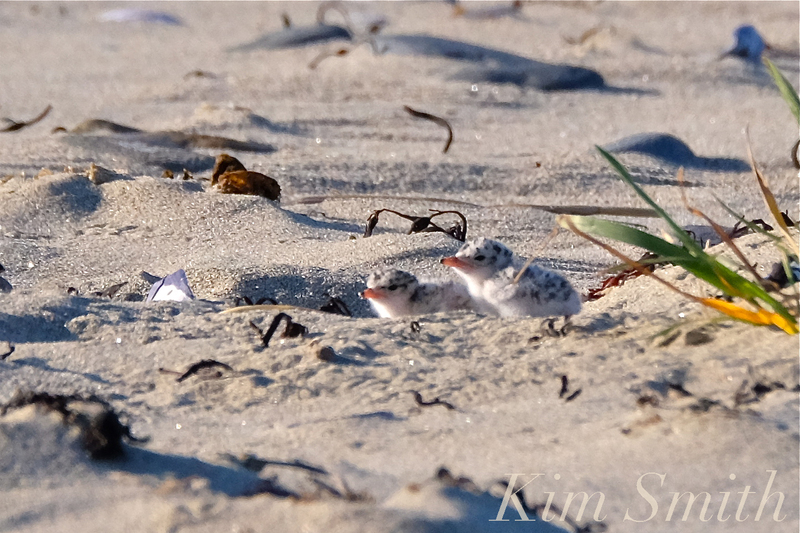 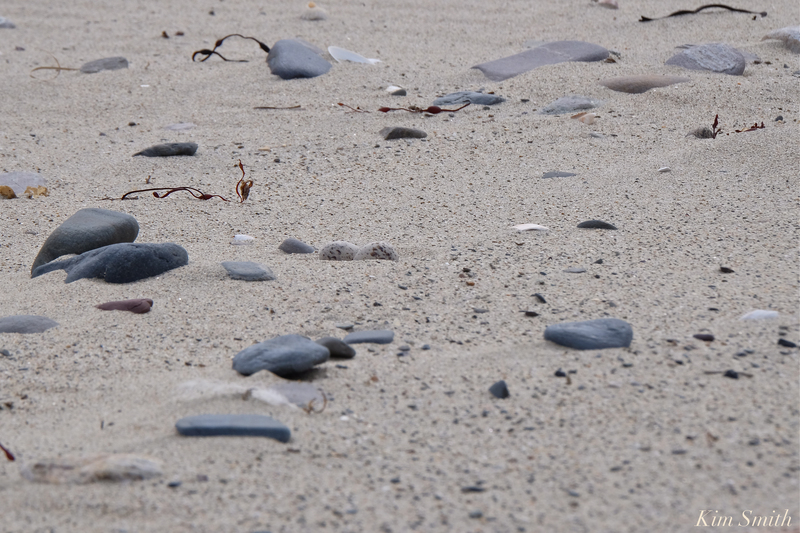 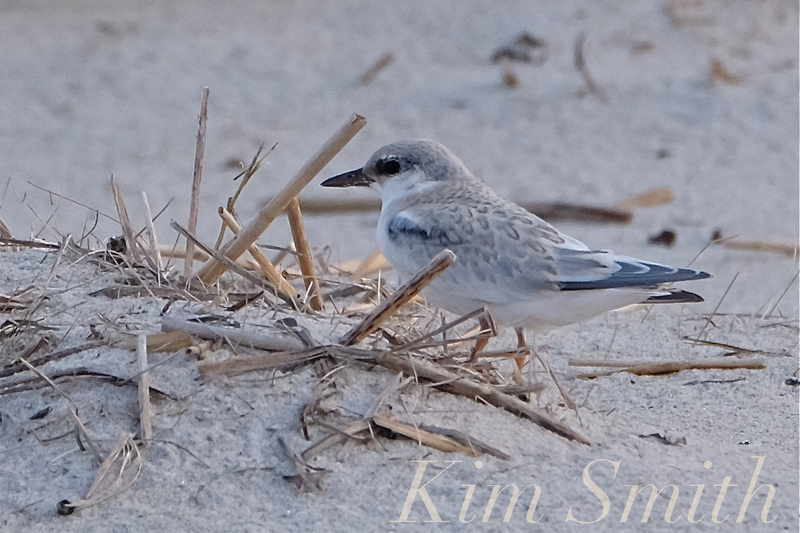 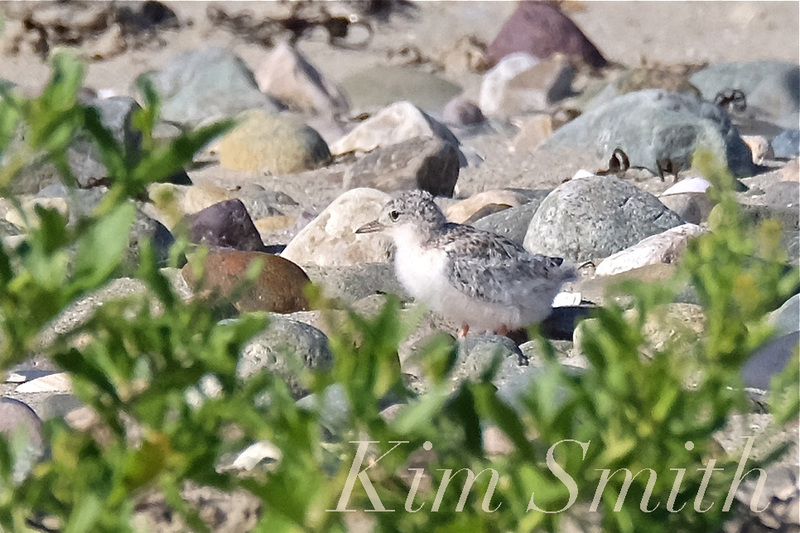 Well-camouflaged and nearly impossible to see one-week-old Least Tern chicks. 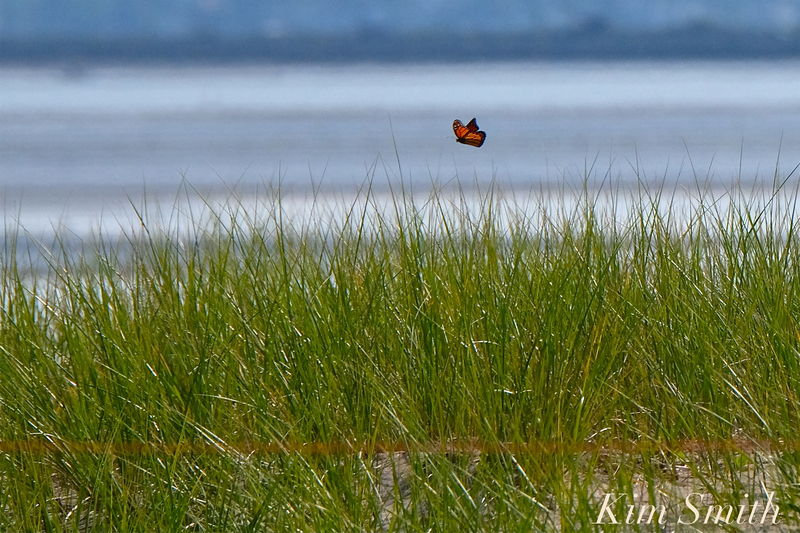 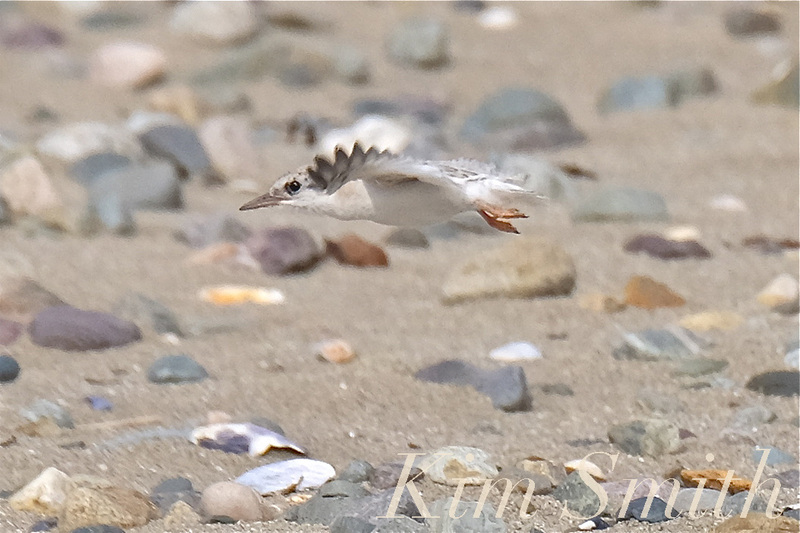 Every now and then though I would catch a glimpse and one of the best moments was watching both chicks test their wings in short little take offs. 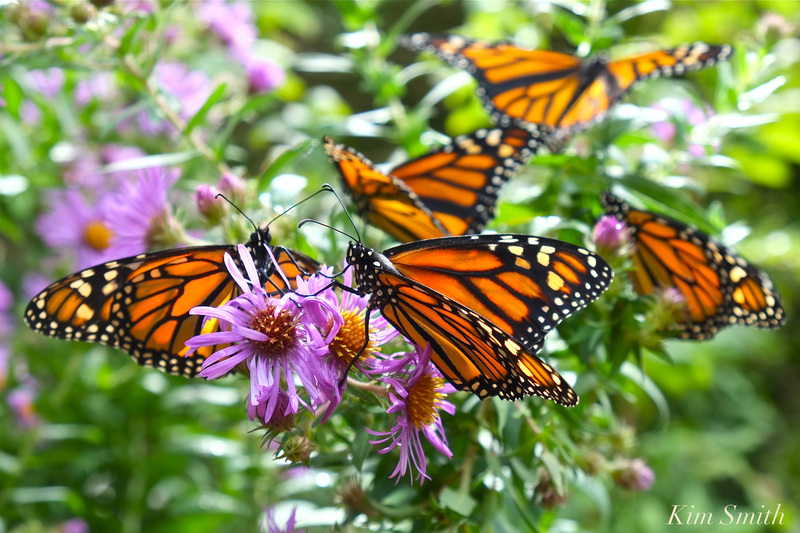 Stretching wide their wings and in little fits and bursts, the flights lasted about two- to three-feet in length, and equally as high. 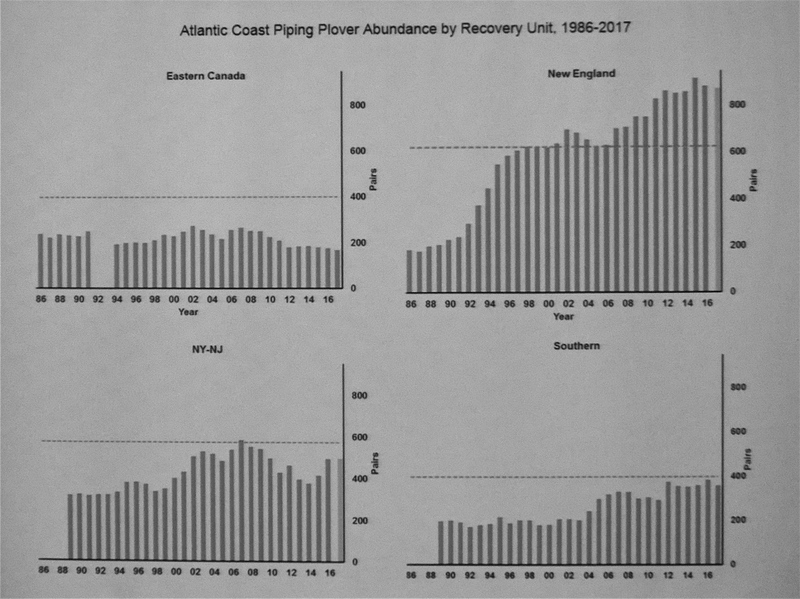 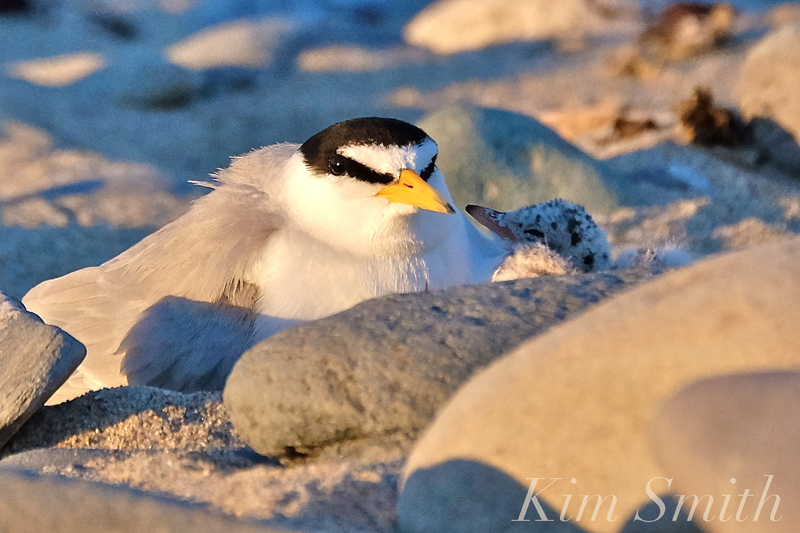 After witnessing the tremendous hardships the Least Tern colony at Winthrop had undergone this nesting season, I was over joyed to see at least one family hit this milestone. 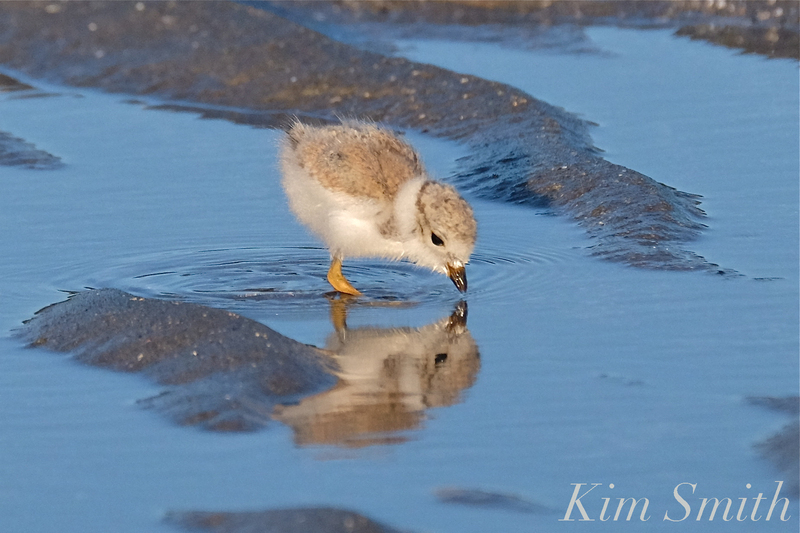 One-week-old Least Tern chick feeding. 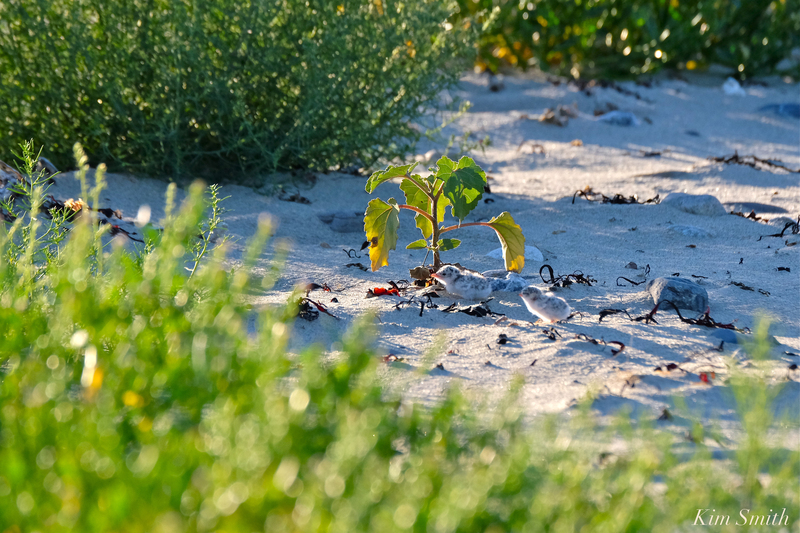 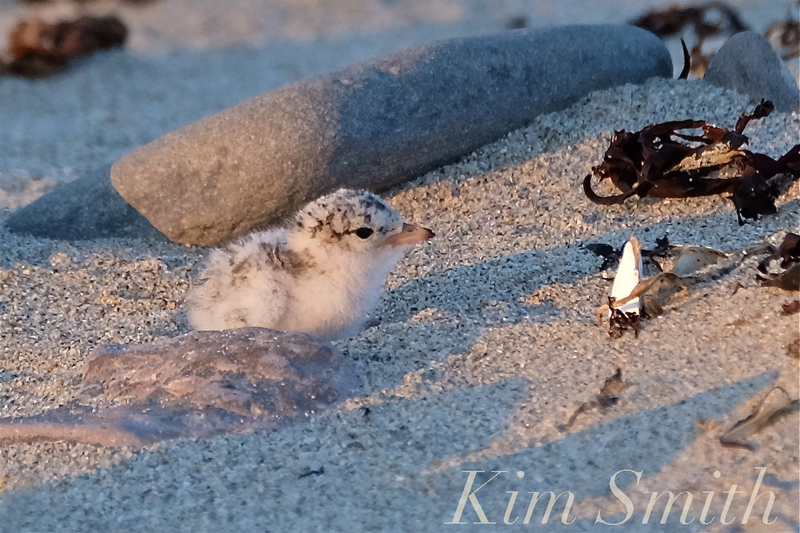 Eighteen-day-old Least Tern chick taking shelter under beach vegetation on a scorchingly hot day in July. 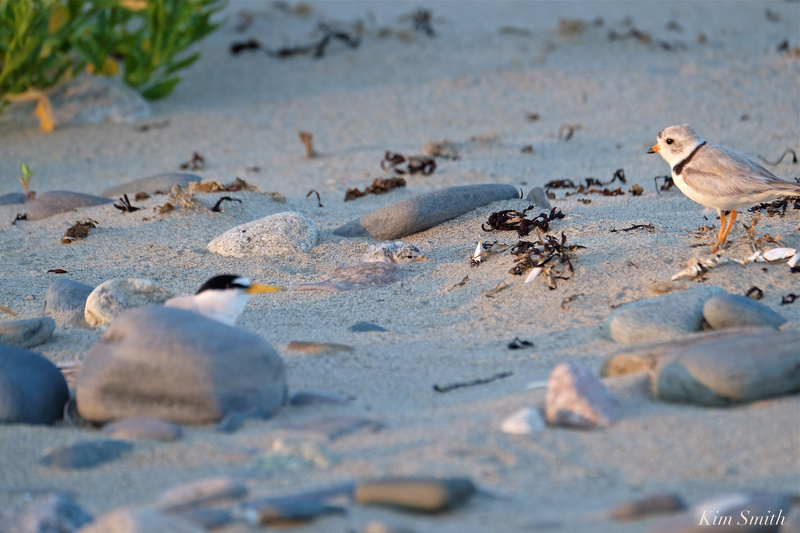 Eagerly waiting to be fed. 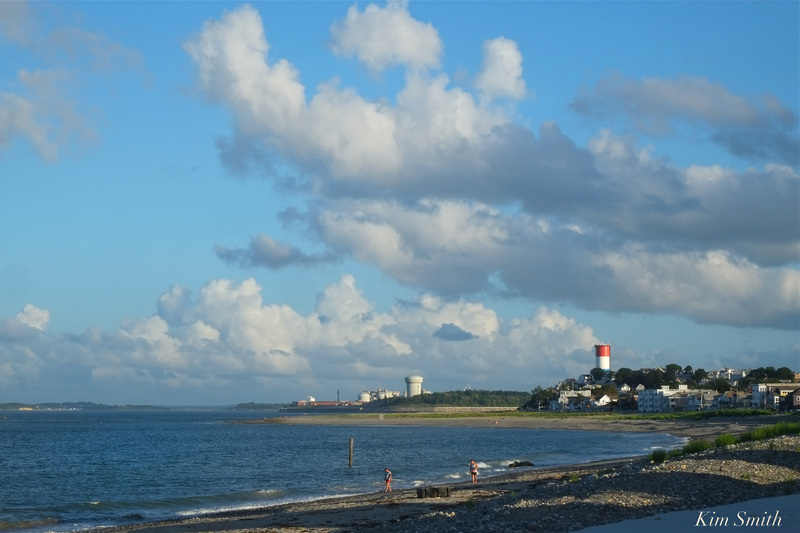 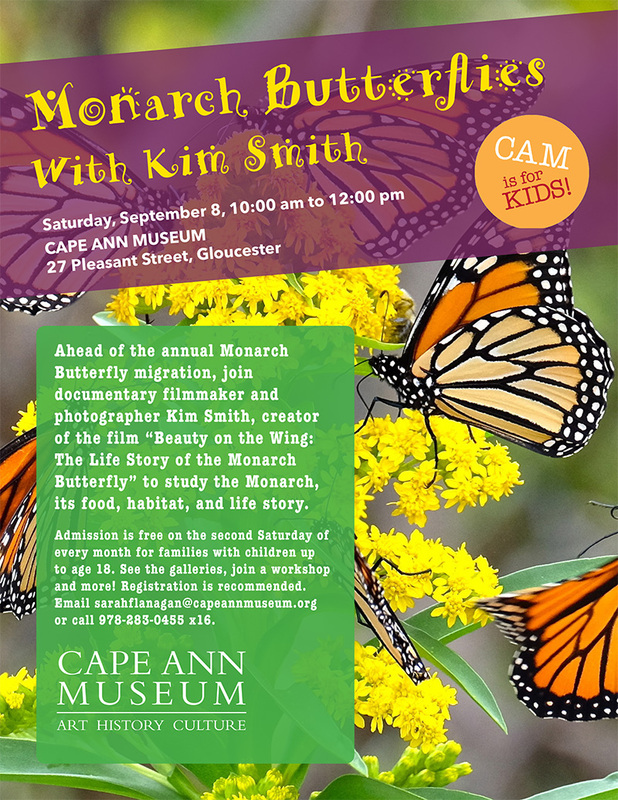 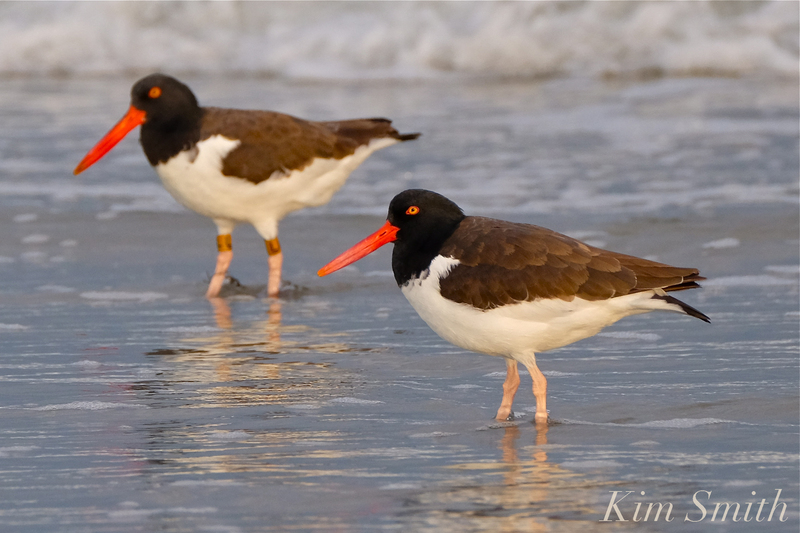 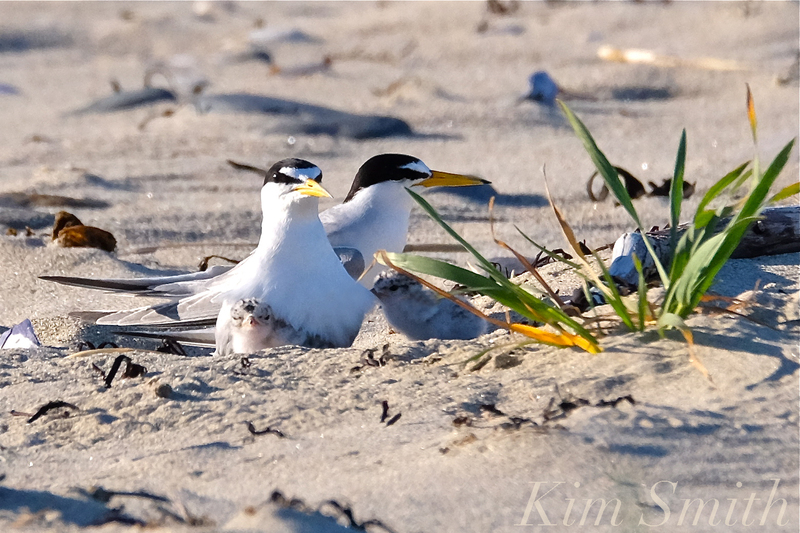 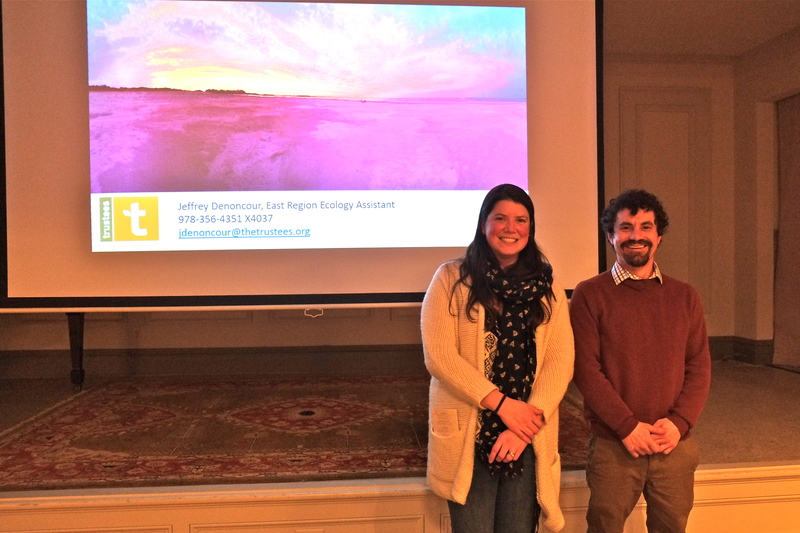 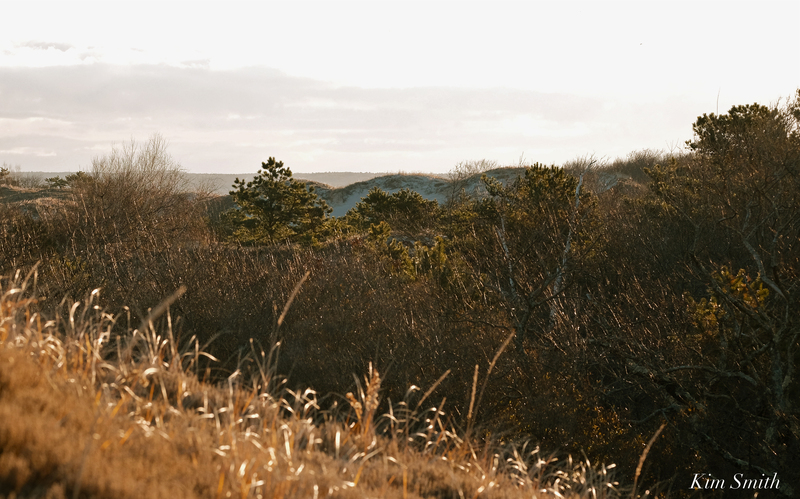 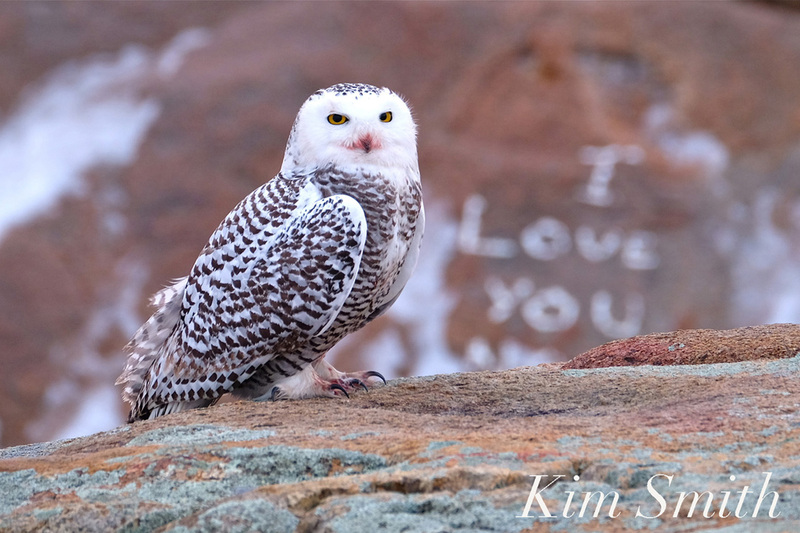 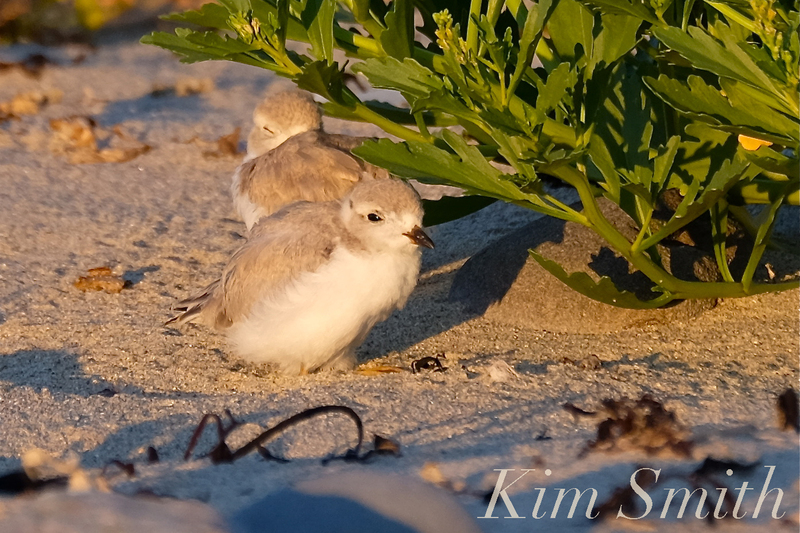 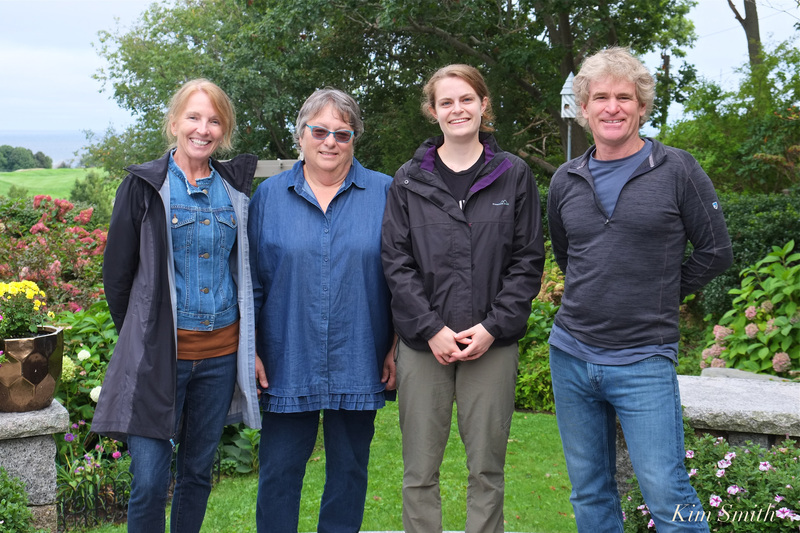 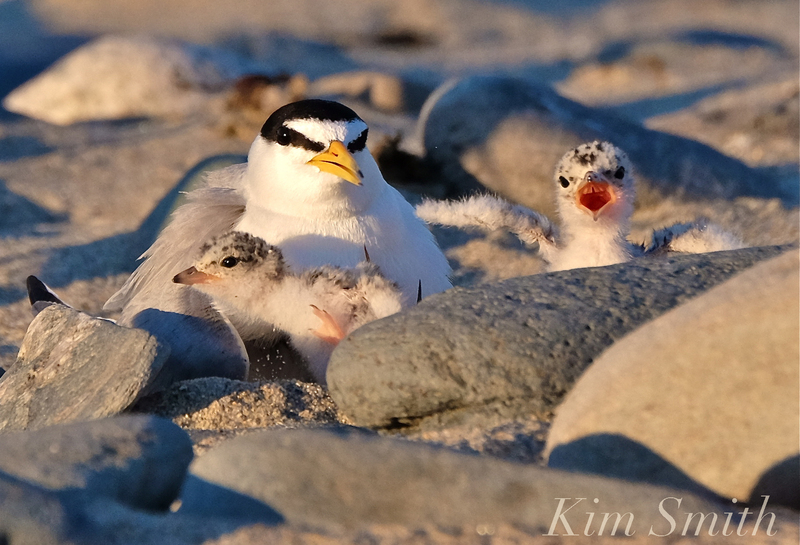 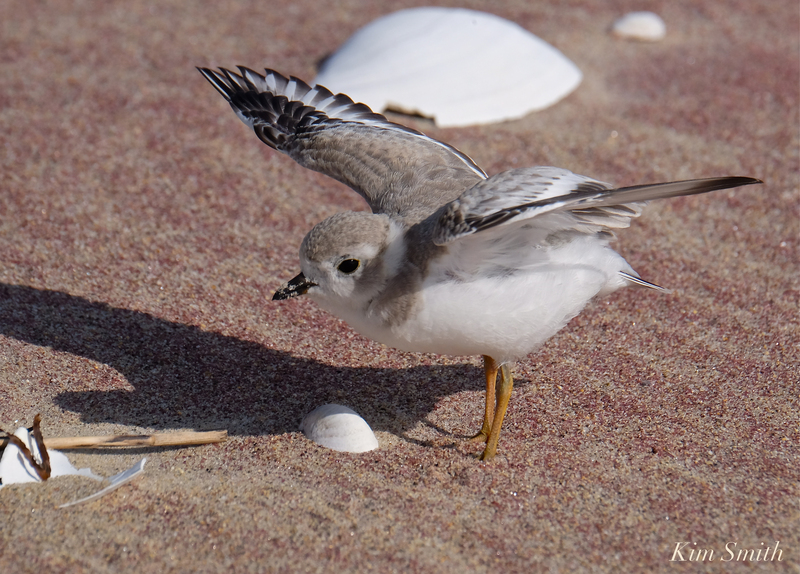 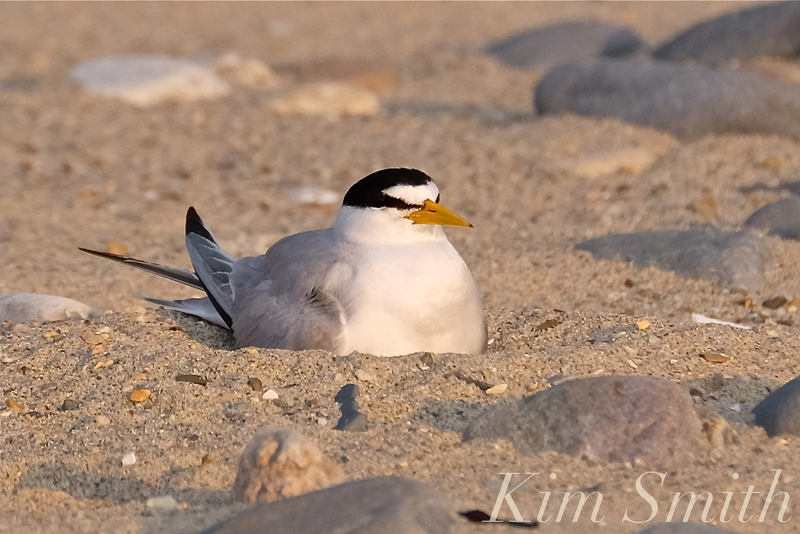 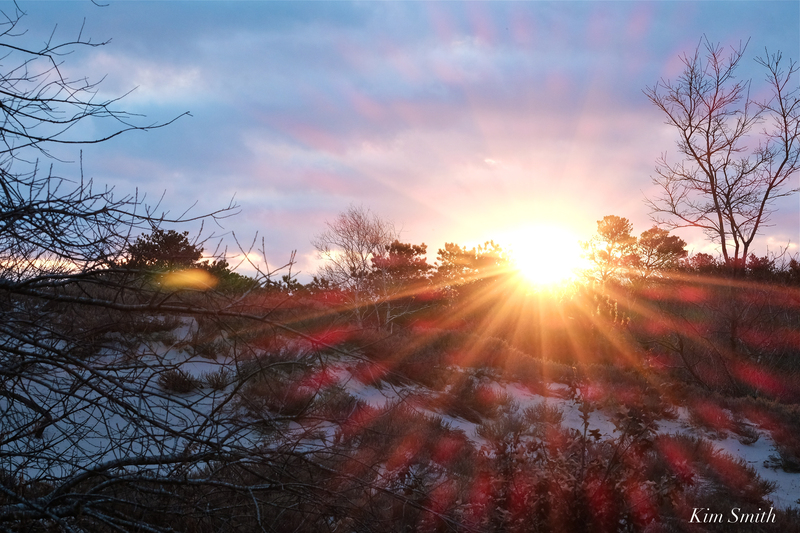 This entry was posted in #sharetheshore, Birds, Birds of New England, Cape Ann Wildlife, Life at the Edge of the Sea, Piping Plover, shorebirds and tagged #ShareThe Shore, Beautiful Birds of Cape Ann, endangered species, Least tern chicks, Least tern chicks one week old, Least Tern fledglings, Least Terns, Least terns Massachusetts, Rosetti's Least Terns, Sternula antillarum, threatened species on August 21, 2018 by Kim Smith. 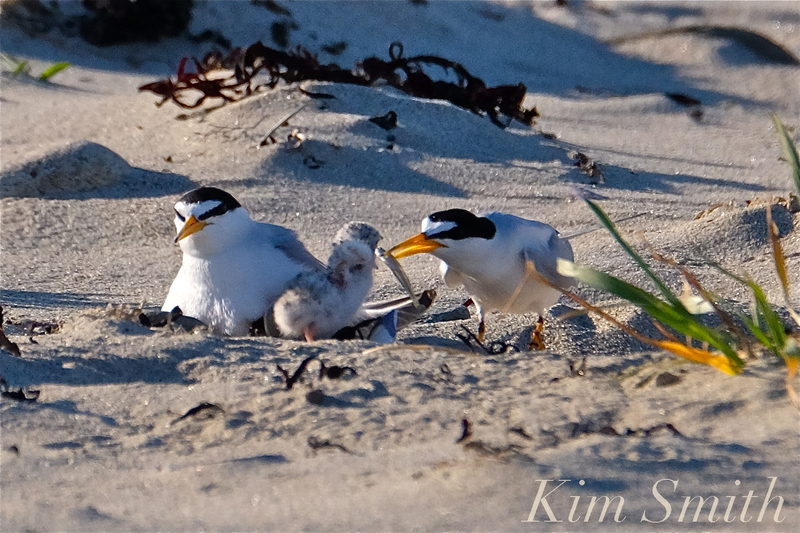 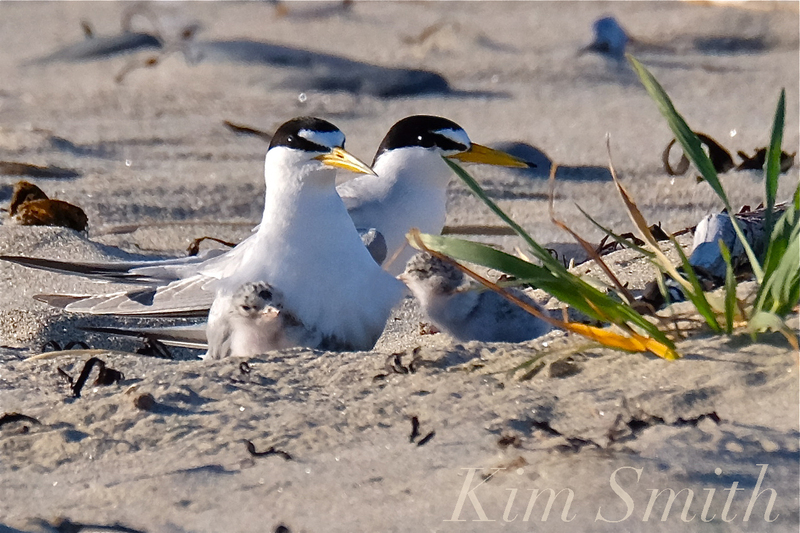 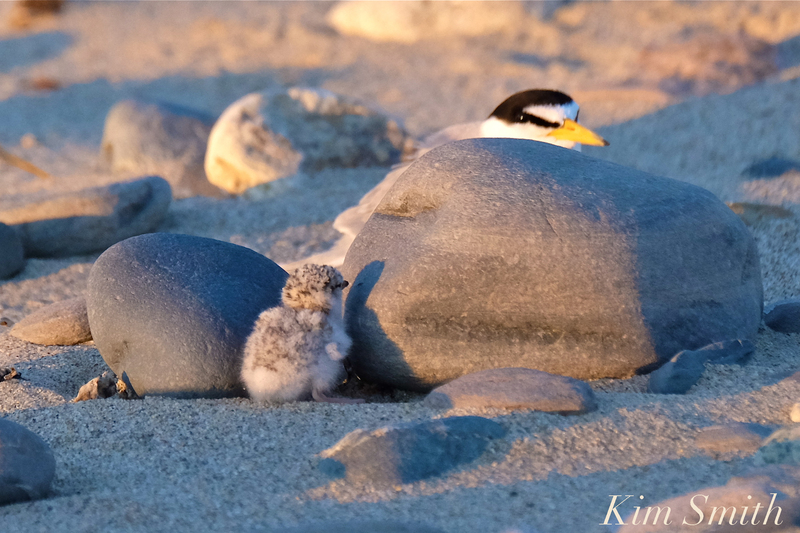 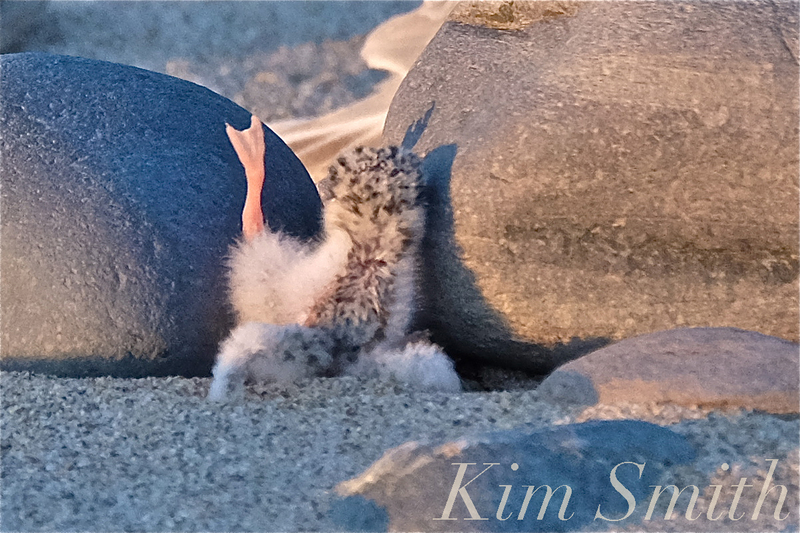 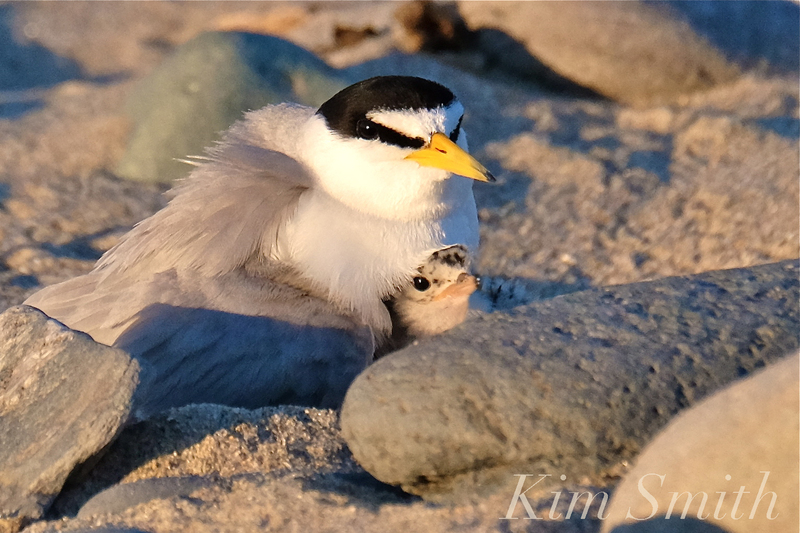 For the first several days after hatching, Least Tern chicks keep fairly close to Mom in scooped out scrapes and natural divots in the sand, or well-hidden hidden behind rocks and beach vegetation. 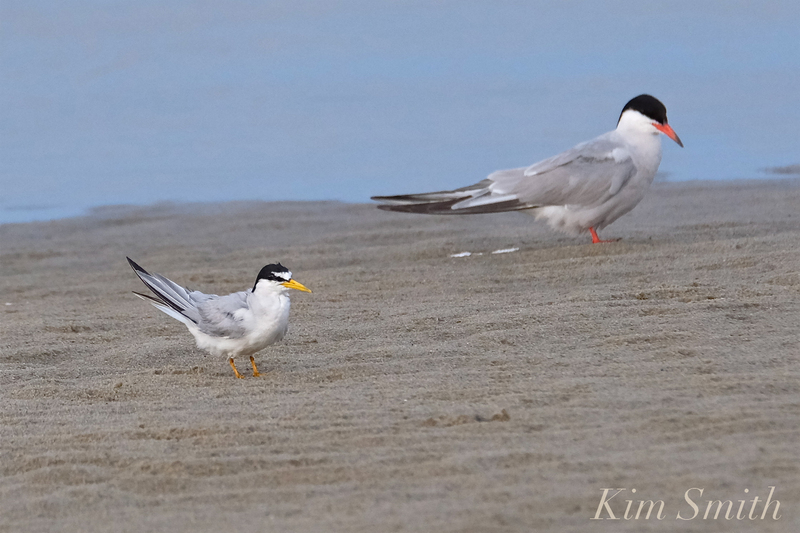 Tiny Least Tern Chick camouflaged in the sand, flanked by an adult Least Tern and Piping Plover male passing by (right). 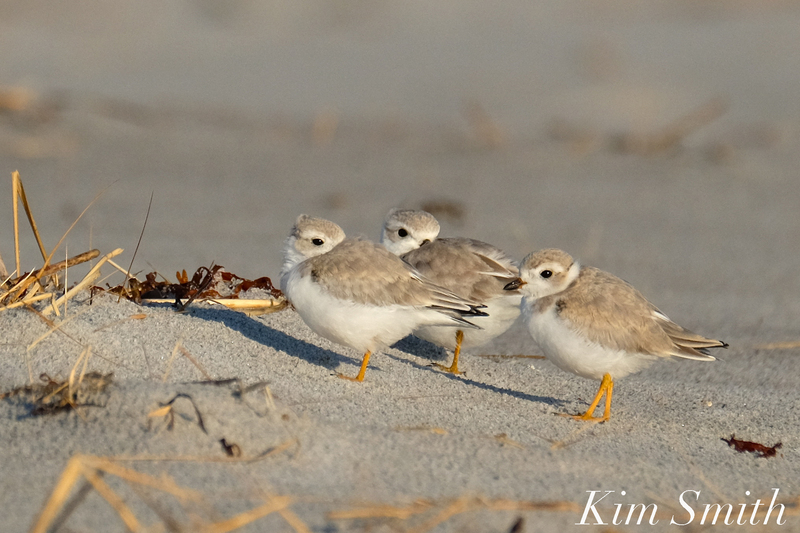 The Rosetti’s Piping Plover fledglings (three) sharing the nesting site with the Least Tern Rosetti’s family. 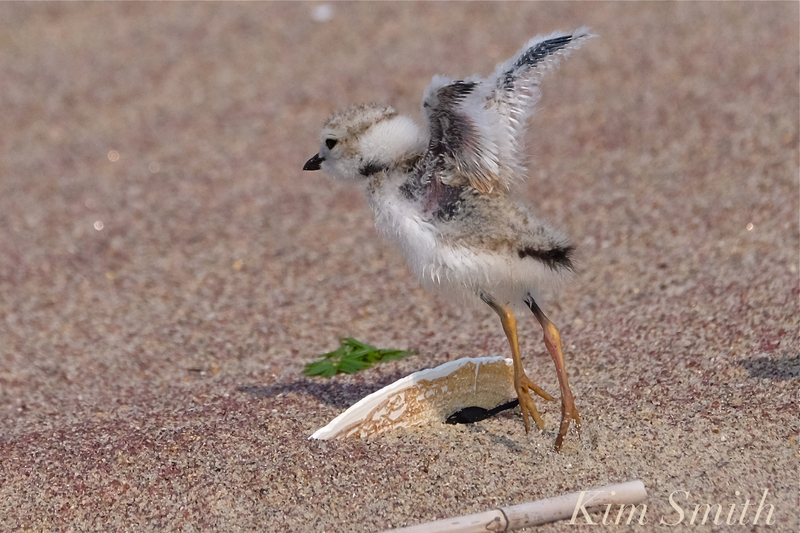 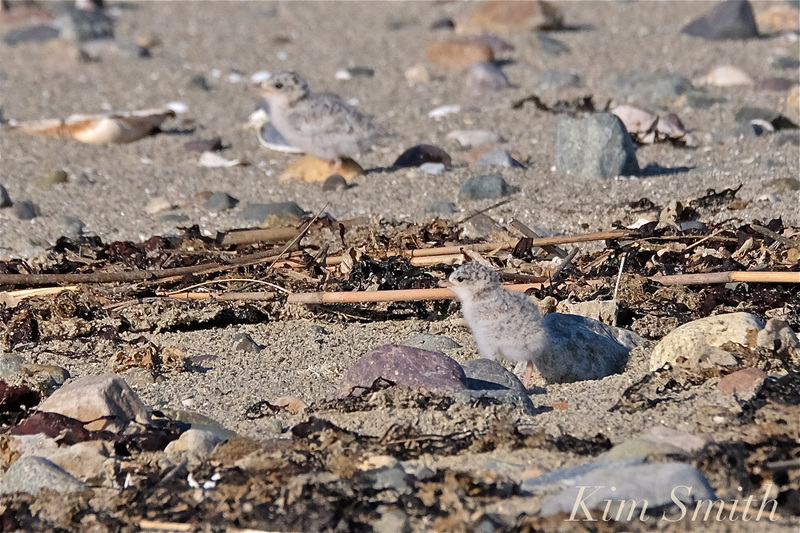 This entry was posted in Birds, Birds of New England, Life at the Edge of the Sea, Piping Plover, shorebirds and tagged #ShareThe Shore, #shorebirdsgoingextinct, Cafe Rosetti's, Charadrius melodus, Italian restaurant Winthrop, Least Tern, Least tern chicks two days old, Least Tern Eggs, Least Terns nesting, Piping Plover, Piping Plover chicks, Piping Plovers nesting, precocial birds, Rosetti's chicks, Rosetti's Least Terns, Rosetti's Piping Plovers, semi-precocial birds, Sternula antillarum, Winthrop Beach, Winthrop Shore Drive, Winthrop Shores Reservation on August 5, 2018 by Kim Smith.